The Chattanooga State Tigers take on defending Southern League Champions Chattanooga Lookouts beginning at 6:15 p.m. on Tuesday, April 5 for another exciting season-opener exhibition game. “This annual tradition, now in its 11th year, comes as a treat every year and it’s a game we certainly don’t take for granted,” said Tiger Head Coach Greg Dennis. 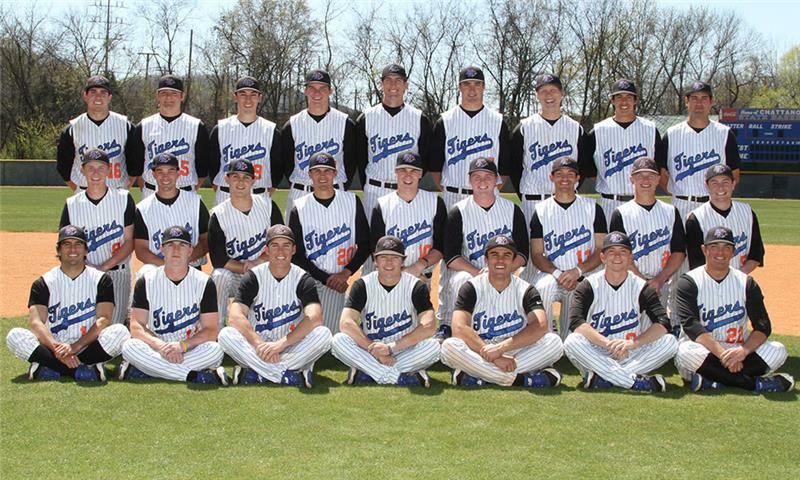 The Tigers currently boast a 19-7 overall win and stand 8-4, in conference play in the Tennessee Community College Athletic Association (TCCAA). Several players have reached national rankings for individual stats. Freshman Hugo Casilla (RHP - Miami, Florida) is 3rd in the nation with six wins this season. He is also 49th in the nation with a 2.15 ERA; while Cale Thornton (Freshman - Cypress, Texas) is currently 39th in the nation with a 1.98 ERA. The Tigers will have to stay sharp and focused as they play these champions. “This year’s team has achieved a level of competitiveness that we haven’t had here in a while. Our talent is good and this very young team competes really well. We are hopeful that it will continue to translate in the games during the remainder of this spring and at Lookouts exhibition game,” adds Coach Dennis. Past games have brought in more than 2,000 people to AT&T Field for this exciting game. “It is always such a pleasure to get to spend a night at AT&T Field and bump heads with one of the most historic minor league franchises in the Lookouts. Our guys consider it a real treat and we as a program enjoy the visibility it gives us locally and nationally,” states Dennis. Discount tickets can be purchased in advance for $5 each by calling 423-697-2418 or emailing greg.dennis@chattanoogastate.edu. Tickets sell for $6 on game day at the Lookouts box office. Hope to see all baseball fans at AT&T Field on April 5.